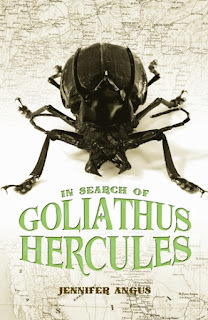 I am delighted to be a stop on the blog tour for author Jennifer Angus, debut author of a delightful and innovative historical fantasy for middle grade readers, In Search of Goliathus Hercules. Set in 1890, this novel features an appealing young hero, ten-year old Henri, who discovers an incredible talent--he can communicate with insects! This ability allows him to train an amazing flea circus and communicate with ordinary houseflies and butterflies. But there is more afoot--with shades of Kafka, Henri discovers he is becoming more insect-like by the day! And can he solve the mystery of his father's disappearance into a far-off jungle, never to be heard from again? Her novel definitely channels the wry humor of British authors Roald Dahl and Eva Ibbotson and features the most charming insect characters I have encountered since James and the Giant Peach. 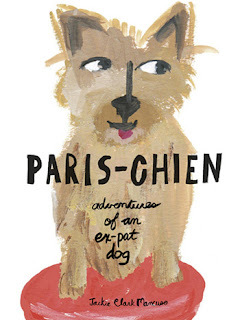 It's a real treat to read, with a quirky sense of humor and many endearing characters. 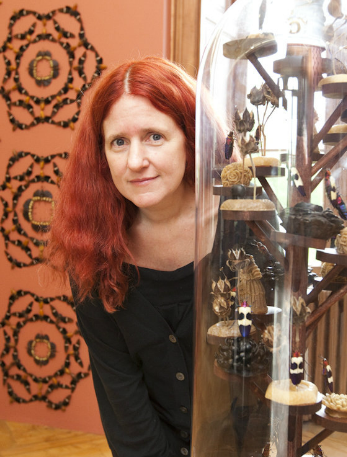 In this guest post, I asked her if she would reflect on her lifetime interest in insects. Perhaps you have walked on a warm summer evening and seen fireflies dancing in the sky. There is something magical about the sight. I’ve often wished I could be part of the festivities and the mystery. 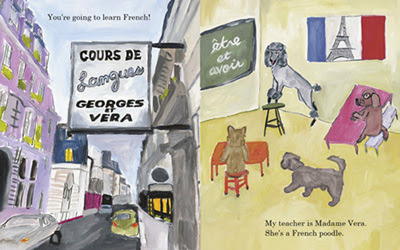 That desire might seem childish which brings up an observation that children’s literature is populated with wonderful six legged characters such as the insect companions in James and the Giant Peach or the fabulously glamorous cockroach in La Cuchuracha Martina. I was interested to discover that what is considered the first children’s story in the English language which was not a moral tale or fable is The Butterflies Ball and The Grasshoppers Feast by William Roscoe dating from 1808. In the Victorian era, both adults and children were introduced to the natural world through a large number of educational publications in which insects were anthropomorphized so as to have greater appeal to the general reading public. Voracious collecting of all manner of plant and wildlife was extremely popular at that time. Through second to fifth grade my family lived in Niagara Falls, Canada. On a rainy Saturday or Sunday my parents would give my brother and me money to go to a museum. Our favorites were the Ripley’s Believe It or Not, the Houdini Wax Museum and the Niagara Falls Museum. The latter was an old Victorian style museum that was old, musty and near the end not even heated. On the top floor were the animal “oddities” – things like the 2-headed dog or the five-legged calf. 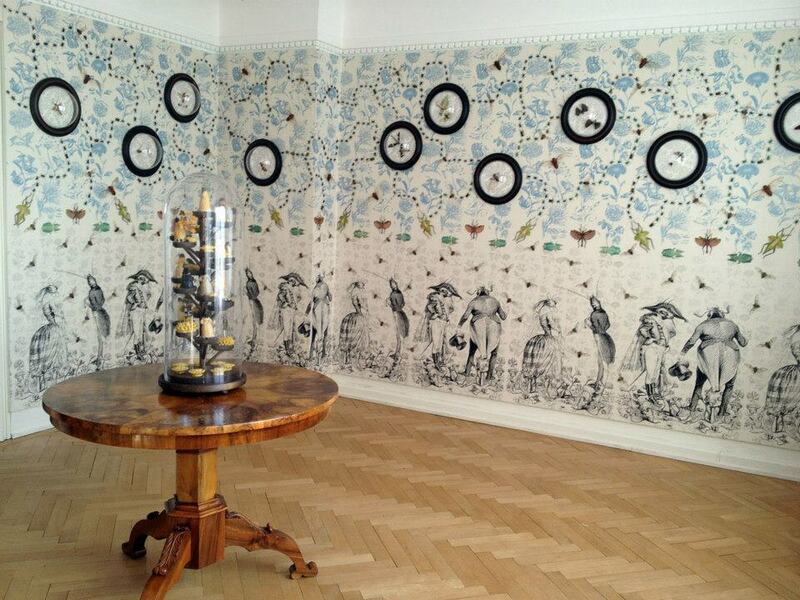 On that floor I remember seeing insect collections that were put into words and patterns. These early experiences have very much informed both my art exhibitions and my writing. 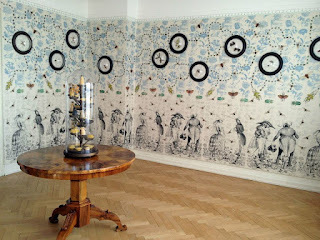 I am best known for my “insect wallpapers” but as my thinking as progressed I have made my own cabinets of curiosity in which Victorian poems are etched on to the backs of metallic beetles, and shadow boxes containing insect samplers that spell out nursery rhymes. For my exhibition “Insecta Fantasia” at the Newark Museum I created dioramas in which insects appear to enact scenes from famous fairytales such as Sleeping Beauty and Hansel and Gretel. Typically a diorama creates a realistic scene however in mine the insects inhabited a monochromatic brown world of beeswax. The subdued landscape is both surreal and provocative. The dioramas inspired further works in which vintage style dollhouses were covered in wax along with the furniture too. Again insects appear to live and carry out activities in these spaces. The houses with their 6-legged occupants are reminiscent of the work of Walter Potter (1835-1918), the celebrated taxidermist whose Kitten Wedding included 20 felines taxidermied and dressed for the occasion. The Rabbit School saw 48 bunnies posed at desks and studiously note taking upon slates. Likewise in children’s literature animals are often anthropomorphized so that the reader can relate thus giving both insight and empathy. Author Beatrix Potter turned the tables so that despite the fact that Peter Rabbit naughtily gorged himself on Farmer McGregor’s crops the reader cheers for Peter rather than the aggrieved farmer. In the “Tale of Two Bad Mice,” the aforementioned rodents create mayhem and destruction in a dollhouse yet all is forgiven when they offer restitution of sixpence and a daily cleaning service. Similarly I seek to rehabilitate the image of insects through my artwork and “In Search of Goliathus Hercules”. Giveaway: Albert Whitman & Co. has kindly made available a give-away for The Fourth Musketeer blog readers. If you would like to win a copy of this unique novel, please leave a comment below with your e-mail address! The winner will be chosen by June 15th through a random number generator. This title is available in e-book at the following: www.openroadmedia.com. 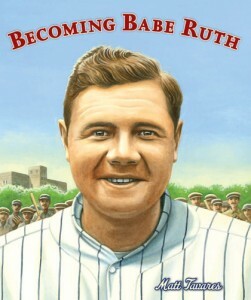 It can also be ordered directly from the publisher, Albert Whitman & Co. The next stop on Jennifer's blog tour is at A Patchwork of Books tomorrow!